Atalanta defender Mattia Caldara,who is on loan from Juventus, has revealed that he is very determined to make the cut at the Old Lady. The 23-year-old central defender, who will return to Turin when the current season ends, was signed from Atalanta itself last winter. 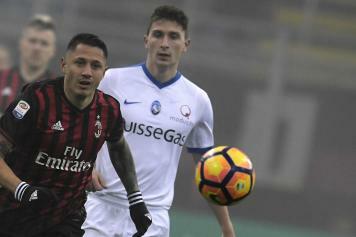 This season, the Italian has impressed for La Dea once again, having appeared 17 times in the Serie A and playing a key role in the club's Europa League campaign as well. In an interview with Radio Anch'io Sport, Caldara has vowed to make the cut at the reigning Scudetto winners. The defender said: "I have to go to Turin with a knowledge that I have to learn from Chiellini and Barzagli, who have and are doing well for the national team." "It will take time to adjust, even on a mental level. But I am very determined to adapt and to help Juventus do well. I am aware of how hard and rough this path will be be but I have to remain calm and embark on this path with the right determination."